Edmonton pothole repair crews have a “new” tool at their disposal this year, which is expected to help smooth out the estimated 450,000 holes faster and more efficiently. 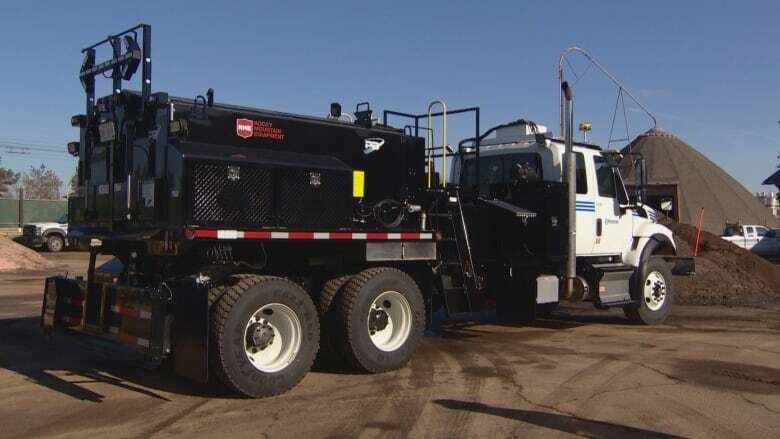 Edmonton pothole repair crews have a new tool at their disposal this year, which is expected to help smooth out the estimated 450,000 holes faster and more efficiently. The city will have five new pothole trucks by April, lauded as state-of-the-art machines custom-made for Edmonton streets. 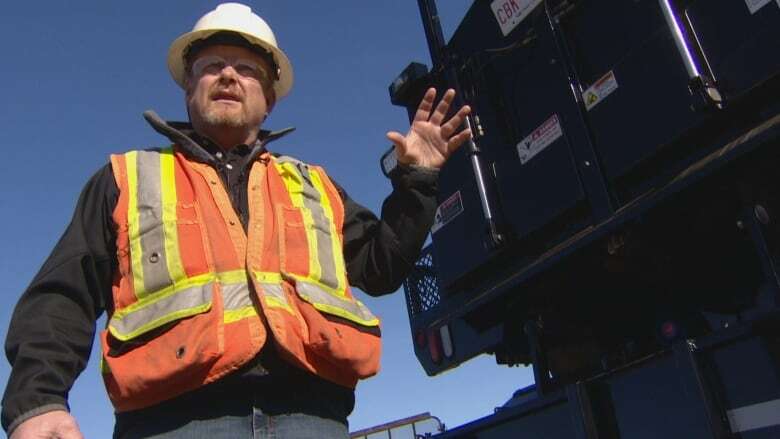 The truck can carry 40 per cent more tar and 20 per cent more asphalt than the older models, meaning crews make fewer trips to the maintenance yards, said Scott VanDusen, acting roadway maintenance supervisor. The trucks come equipped with better lighting, high-tech cameras and the ability to heat up material faster. "The one thing I'm most proud of is this truck is equipped with 270-degree cameras," VanDusen told media Thursday. "So I can actually watch what's happening with the crew all the time from the inside." He said the new cameras give drivers the ability to see people working on this side of the truck while keeping an eye on traffic. "It's just much safer for our guys to be out on the road, because [there's] always a watchful eye." The trucks were a combined effort: the body was built by the manufacturer and customized by the fabrication technology unit in the city, VanDusen said. "It is one of the best systems in North America, it's the safest." The city repairs, on average, 450,000 potholes a year. Between Jan. 1 and Mar. 28 so far in 2019, crews have patched up 18,000. Eduardo Sosa, the city's director of infrastructure maintenance, said it costs $10 to repair a hole, meaning the city spends between $4 and 5 million a year patching potholes. So far 2019 is shaping up to be a typical year for potholes, Sosa said. Crews are cross-trained from winter maintenance to road repairs and work 24-7, if necessary, Sosa said. They can have 10 trucks going at any given time. "We go from snow removal to potholes in the blink of an eye," he said. Sosa encourages people to report potholes either by phoning 311 or using the 311 app. "We are in a new era, we know about them faster because of our new app. We can actually see better where they are," Sosa said. The city assesses repair priority by the size of the pothole, the location and use of the street — a spot used by many vehicles, pedestrians and cyclists would be given priority. He said they get about 11,000 notifications a year, saying the city doesn't consider them complaints but rather, reports. Those who have had their vehicle damaged by potholes can fill out a claim form, found on the city's website. Claims are submitted to the city's risk management team for assessment. "Our goal is to get there before any damage happens, so if you see them, report them," Sosa said of people calling in potholes. The city didn't provide specific numbers for 2018 but statistics on their website show an average of 643 pothole claims are submitted each year. About 16 per cent of the claims are accepted at an average pay out of $769. If 16 per cent or 103 of 643 claims were accepted in a year, the city would have paid claimants $79,209. The site says the ratio varies by year, but on average 83 per cent of claims related to pothole damage are denied.